So you want to be a model? or want to have a model's look at last.. Remember that beautiful skin comes not only from the right genes, and taking care of the inside and outside of our bodies. To achieve healthy skin all you need is the right skin care, Discover 20% Vitamin C Serum by OZ Naturals for those who weren't naturally born with perfect skin, to obtain more perfect skin, since the very first use. This powerful serum by OZ Naturals gives you the youthful glow you've been looking for, its unique formula combines the highest quality Vitamin C and Hyaluronic acid to create a potent antioxidant effect, giving you a smooth texture, protecting and brightening up your skin throughout the day. Apply the serum on clean skin, before the moisturizer, two times a day, in the morning before the make up and at night before going to sleep. Considered by Allure Magazine "Best In Beauty Vitamin C Serum" this Serum by OZ Naturals is the most effective organic vitamin c serum available, proven to dramatically increase the production of collagen and cellular turnover. Resulting in a much smoother texture, even skin tone, youthful and radiant glow. 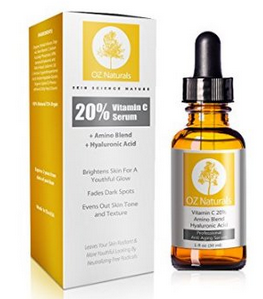 This Serum by OZ Naturals has a clinical strength formula with 20% organic vitamin c and vegan hyaluronic acid, leaving your skin radiant and more youthful looking, neutralizing free radicals, stimulating collagen, reducing fine lines and wrinkles. Besides, this amazing serum does not contain alcohol, parabens or sulfates and making it safe for all skin types. OZ Naturals formulates the most effective anti aging products on the market. 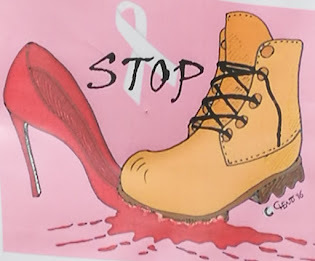 Made in the USA, in a state of the art FDA registered facility. Co-Founder and Certified Esthetician, Angela Irish launched OZ Naturals as a company that embodies everything she's passionate about: healthy skin, anti-aging, natural ingredients, and utilizing the latest technology to formulate the highest quality skin care products on the market.